Aloha and happy New Year! As we look forward to 2019 we wanted to take a look at what makes Maui the number one travel destination on the planet and why that makes our beautiful island the perfect place for you Maui wedding or elopement ceremony. You could go anywhere, like Cancun or Belize, but Maui's towering volcanic mountains, verdant rain forests, and warm cerulean sea, make her stand out above the crowd. There are a number of very soulful and spiritual Kahu's (ministers) on Maui. 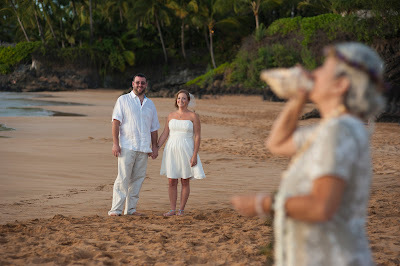 They easily share their mana'o with wedding and elopement couples from around the world. Some will play ukulele during the ceremony as an added gift to your ceremony. 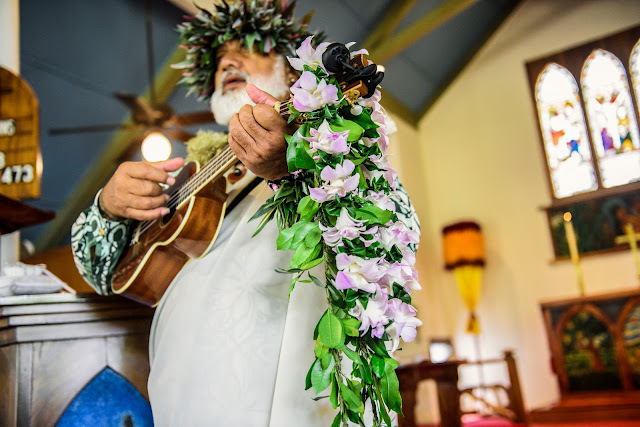 The oli (chant) is the ancient Hawaiian method of passing on the stories of the ancestors before a written language. It is also used as a prayer or blessing. Standing in the presence of a true Kanaka Maoli Kahu who chants and blows the conch will give chicken skin to anyone. Add the ukulele and you'll understand why we say Maui is No Ka O'i. Do we really need to rub your nose into the beach thing we have going on here on Maui? Why not? 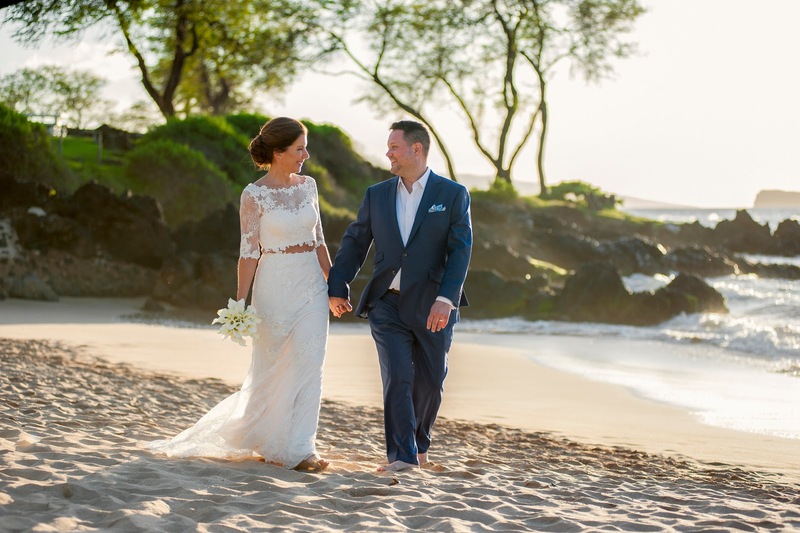 While most folks in the US are freezing in January, couples like these are celebrating their nuptials on a warm sandy beach in Hawai'i. 7 billion people on the planet and beaches like this are empty the hour before sunset. I'm not going to go into a list of fabulous beaches (you can call us and we can talk) but I am going to say that all the beaches in Maui are free, public and pristine. This is something very few places in the world can claim. This lucky couple had Po'olenalena all to themselves during another spectacular Maui Sunset. Being able to use a camera to capture scenes like this in a place like Maui is a true blessing. The photographers on Maui are many and their styles a varied. I have particular prejudice regarding my own work however there are many good shooters out here who can do an excellent job capturing your day. 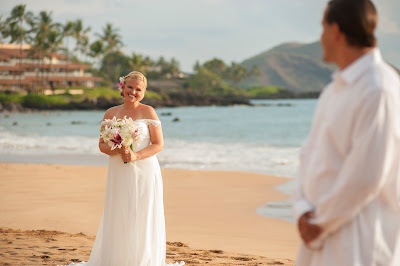 All Maui wedding photographers have online portfolios and it behooves the potential Maui elopement couple to examine as many as they can before making a decision. Prices vary widely and so do services. Some photographers offer reproduction rights. Some charge extra for the high resolution files, some give away the outtakes or RAW files. Make sure you know what you will receive before booking and be sure you like the work you see. Thanks for reading! 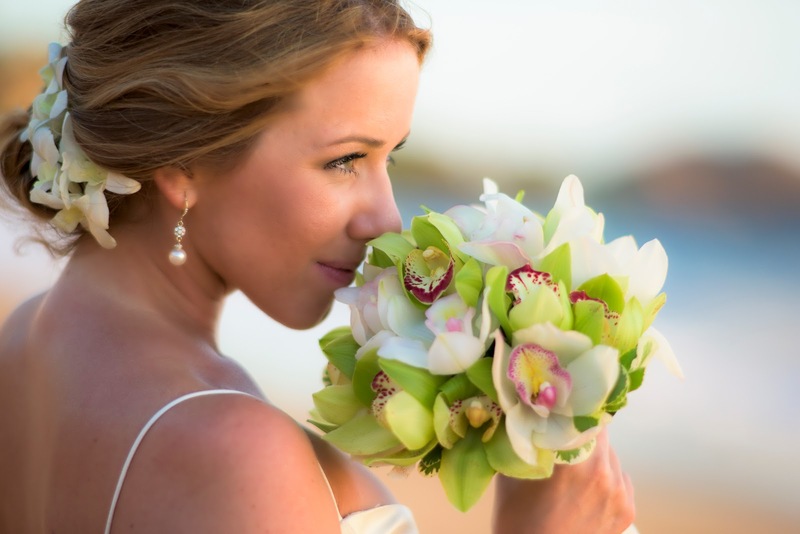 I can't help but put in a shameless self promotional plug for Marry Me Maui and Joe D'Alessandro Photography. 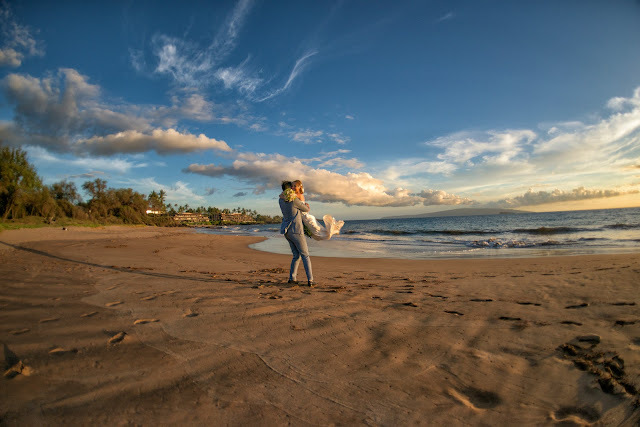 We've began doing wedding planning and wedding photography in Maui when the road fronting the Makena Surf was dirt and planes still skidded to a landing at airport beach in Kaanapali. We love what we do. You will too.